"Recent scandals about the role of social media in key political events in the US, UK and other European countries over the past couple of years have underscored the need to understand the interactions between digital platforms, misleading information and propaganda, and their influence on collective life in democracies," writes First Draft, an online journal published by Harvard's Shorenstein Center on Media, Politics and Public Policy. Hence comes A Field Guide to 'Fake News' and Other Information Disorders--a free manual that helps "students, journalists and researchers investigate misleading and viral content, memes and trolling practices online." Packed with valuable data visualizations, the manual highlights a "series of research protocols or 'recipes' that can be used to trace trolling practices, the ways false viral news and memes circulate online, and the commercial underpinnings of problematic content." 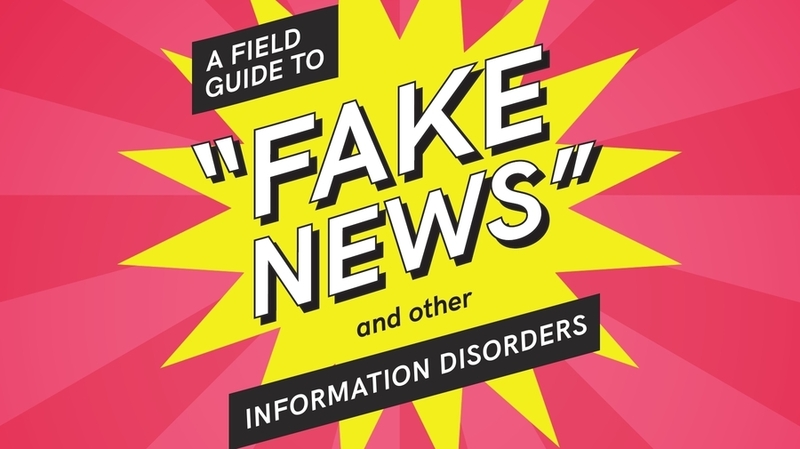 A Field Guide to 'Fake News' and Other Information Disorders was co-produced by the Shorenstein Center and the Public Data Lab. Because it's published under a Creative Commons License, you're free to copy, redistribute and reuse the book. Beyond that, you can find all of the assets needed to translate and publish the guide into other languages over on this GitHub page.